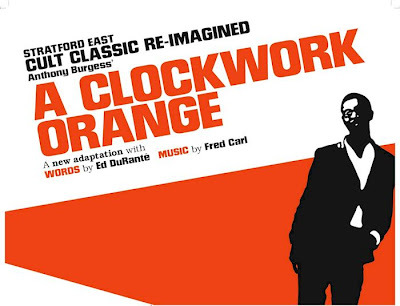 AFRO-EUROPE: London: Black Musical Adaptation of "A Clockwork Orange"
London: Black Musical Adaptation of "A Clockwork Orange"
Anthony Burgess’ cult novel A Clockwork Orange is re-imagined for London’s Theatre Royal Stratford East stage on the eve of its 50th anniversary. This reworked production will be performed from Saturday 3 September – Saturday 1 October 2011 at 7.30pm, with matinees at 2.30pm. 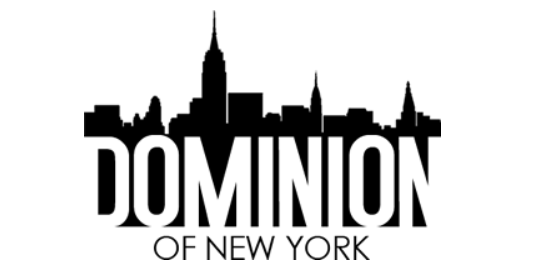 In this new adaptation, New York writers Ed DuRanté (words) and Fred Carl (music) return to the original source of Anthony Burgess’ book and importantly, his last chapter of redemption and hope. This iconic story influenced and inspired music stars and artists including Gnarls Barkley, The Rolling Stones, David Bowie, Andy Warhol and, of course, Stanley Kubrick, who made the famous film. When super-intelligent Alex’s ultra-violent lifestyle catches up with him, he is imprisoned and entered into a government experiment called The Technique, aimed at ending all crime. He quickly finds himself in an unexpected and life-altering personal horror show. The piece has a contemporary score that draws from groove-based styles like blues, r&b, rap, neo-soul and jazz, this promises to bring fresh resonance to a modern classic. Ed DuRanté is a playwright and filmmaker. His work has been produced by Theatre for the New City, Talking Drum Theatre Co., and Playwrights Horizons. He was awarded a New York Foundation for the Arts Fellowship for Filmmaking. Presently, he is in post-production with his first feature film, the Black black comedy Jake Gets Paid. He is a graduate of the NYU/Tisch School of the Arts Graduate Film Program, the NYU/Tisch Graduate Musical Theatre Writing Program and Yale University. Recently, Fred Carl and he worked on their adaptation of “A Clockwork Orange” as the inaugural writers at the Rhinebeck Writers Retreat. Next, he is directing the film Clay Feet starring Terrance Howard and Anthony Mackie. Developed from his own script, the film examines the early friendship between Muhammad Ali and Malcolm X.
Fred Carl’s extensive career includes musical directing Kirsten Childs’s The Bubbly Black Girl Sheds Her Chameleon Skin where Fred received the 2000 Audelco Award for Best Musical Direction. He composed and musical directed Tony Award-winning actress LaChanze at Lincoln Centre and has a long association with Theatre Royal Stratford East starting in 1999. He designed and co-led (with Robert Lee) the musical theatre-writing workshop which featured in Channel Four’s Rappin' at the Royal and is Artistic Associate of the theatre. He is a graduate of the New York University/Tisch School of the Arts Graduate Musical Theatre Writing Program and currently an Associate Arts Professor of the Program. A Clockwork Orange is directed by Dawn Reid, Associate Director of the Theatre Royal Stratford East. Her numerous directing credits for the theatre includes Funny Black Women on the Edge and Ade Ikoli’s Diary of a Single Man. She is the Co-Director of The Harder They Come(Barbican, West End, Toronto and Miami); Mad Blud; and Rikki Beadle Blair’s Family Man. Other theatre credits include Associate Director on Avenue Q (Noël Coward Theatre) and the recipient of a Carlton Multicultural Achievement Award for Performing Arts. Jonzi D is the Movement Director of the piece. He is Associate of Sadlers Wells, his production Aeroplane Man was a sell out success and screened on Channel 4. The cast features Ashley Hunter as Alex, Darren Hart as Pete, Susan Lawson Reynolds, Richard Lloyd-King, Sonny Muslim as Georgie, Marcus Powell, Kirris Riviere, Raphael Sowole and Vanessa Sylvester. Theatre Royal Stratford East has a reputation for developing and staging new musicals including The Big Life - the first Black British musical in the West End; The Harder They Come - currently in pre-production for its second international tour after successful runs at Barbican and in the West End;Come Dancing winner of a What’s On Stage Best Off-West End Production Award and Britain’s Got Bhangra - winner of an Off West End Award for The People's Favourite Musical. This famous producing theatre prides itself on reflecting the concerns and hopes of the people of East London. The venue inspires and is inspired by its vibrant, young and diverse community in a continuous loop that draws from and engages with audiences. A Clockwork Orange will be performed from Saturday 3 September – Saturday 1 October 2011. Pay what you want Saturday 17 September 2.30pm. Available to Newham residents who have never been to see a show at Theatre Royal Stratford East before. Call 020 8534 0310 and quote Pay what you want when booking – tickets must be booked in advance and proof of residence must be shown on collection of tickets. Theatre Royal Stratford East is breaking all the rules of British theatregoing and embracing the digital age by inviting people to get out their smartphones and tweet during performances. There is a designated Tweet Zone fully equipped with WiFi available for every main stage performance and there’ll be no shushing from the ushers. Audience members are free to update their online communities with their thoughts on the show and the experience at the theatre whenever they want. Bloggers Previews is an opportunity for Theatre Royal Stratford East to encourage further online engagement and commentary about its work it by inviting writers from all parts of the blogosphere to attend a show before its official press night so that they can get online and express their views freely.